From master storyteller MICHAEL MORPURGO, and illustrated in stunning colour by the award-winning EMMA CHICHESTER CLARK, comes a surprising, charming and uplifting twist on The Wizard of Oz, told by a very special and unforgettable character: Dorothy's pet dog, Toto. A perfect, collectible gift for all children (and children at heart). "I was there," Papa Toto said, and those magic words sent shivers down my spine. It was going to be the Wizard story. "Dorothy and me were both there." We were all silent, snuggled up together, waiting, waiting. Then Papa Toto began... 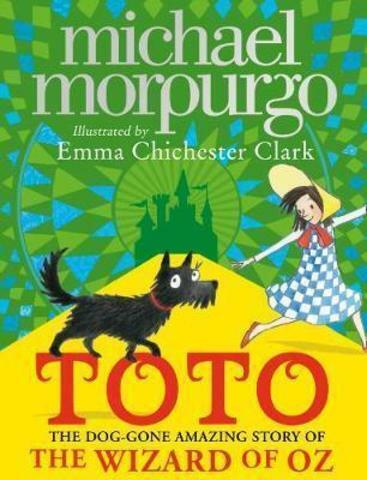 When a twister descends on their Kansas farm, Toto and his owner Dorothy hide in the house - only to be plucked into the air and whisked away! Coming down with a crash in the mysterious land of Oz, the pair meet a series of extraordinary characters: a scarecrow who believes he has no brains, a tin man without a heart, and a cowardly lion who may not be as cowardly as he thinks he is. But Toto and Dorothy are desperate to return home - after all, home is home, and home is best! So they set off with their new friends on a journey down the yellow brick road to find the only person who might be able to help them: the Wonderful Wizard of Oz. But what they find might surprise them. And on the way, all of them will learn that what they think they are missing might have been there, all along... Beautifully illustrated throughout, this is an unforgettable telling of a classic story, and a must for every bookshelf.